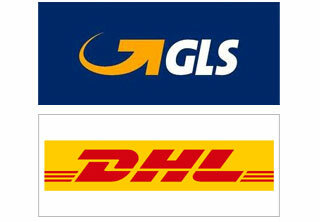 To make sure that your shopping arrives in perfect condition Wineshop.it has teamed up with two of the leaders in the specialised transport of wines and depreciable goods: GLS and DHL. This guarantees that our products will receive the utmost care and attention when they are on the move. 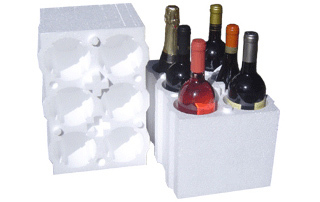 We have also developed an shock-resistant and heat-insulating packaging (100% recyclable, disposable as "plastic" in separate collection) that gives the bottles maximum protection when they are being transported. Shipping cost varies according to the destination and the weight of the goods (6 bottles, including packaging, weigh usually 8 kg). Some countries do not allow shipping. All shipments can be tracked online through our partners' web sites. In case of breakage or mishandling of the package you can accept it anyway adding "ACCEPTED WITH RESERVE" when signing the documents, you will be able then to check the content of the package and inform us if something is wrong. We will charge you only the goods that are in good conditions. The courier will NOT deliver wine or other alcoholic products to anyone under 18 years and may require a photo ID to verify age. Delivery takes place during office hours on working days, therefore we suggest you to enter a delivery address where there is always someone who can collect the goods during this time (such as your office, the concierge or a neighbor). The courier will try to deliver twice, in case of absence at the first attempt the courier will contact you directly (usually via email) to arrange the day and time slot (morning-afternoon) for the second delivery attempt. No deliveries to PO boxes. For more information please see our sales terms. All orders placed before 8:00 PM CET are shipped the first working day after arrival.